The first ice rink in Cape Town opened at the Goodwood Showgrounds in 1971. The rink changed hands in 1986 and the Cape Peninsula Ice Skating Club was formed, under the management of an elected committee. 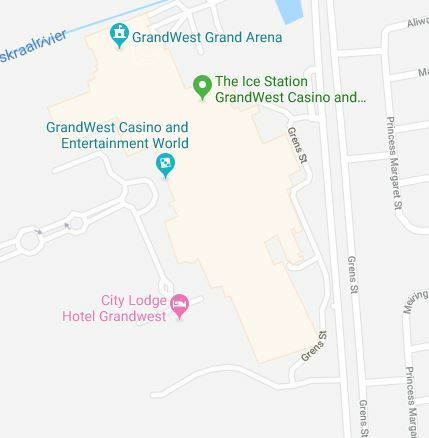 The property was sold in 1994 and the rink, renamed as The Ice Station was included in the GrandWest Casino & Entertainment World Development. An Olympic sized ice surface (60m x 30m), housed in a world class facility was constructed at GrandWest Casino and Entertainment World as a joint venture to build the arena with Sun International being the landlord and the CPISC the tenant, Cape Town in December 2000. Two skating disciplines and the public make use of the facilities at The Ice Station, including Ice Hockey & Figure Skating, with Figure Skating made up of synchronized skating, dance pairs and free skating. The Ice Station is also open to members of the public during scheduled sessions. A variety of shows, entertainment events and competitions, both national and international are also hosted there. The Ice Station facility is a club, which is owned in totality by its members. The members comprise all sections of the community who have an interest in the sport of ice skating and who belong to the Cape Peninsula Ice Skating Club (CPISC). A committee, appointed by the members, fulfils the function of the Governing Body, which in turn has appointed a General Manager who is responsible for operations. The CPISC is a non-profit organisation run on sound business principles. As per its Constitution, the club is not established nor conducted for profit; the funds of the club are used only for the purposes & objectives of the club i.e. for the furtherance of the sport of ice skating. State of the art energy management system. The training of the specialised personnel is carried out by overseas competent trainers. I.e. sharpening of blades, resurfacing the ice, plant room maintenance. The CPISC provides a facility for the use of affiliated associations, as well as the general public. The South African Figure Skating Association (SAFSA) and the Western Province Ice Hockey Association (WPIHA) are both affiliates of the CPISC. The constitutionally prescribed mission of the CPISC is to provide a non-profit facility for the development and promotion of ice skating, in its various forms.